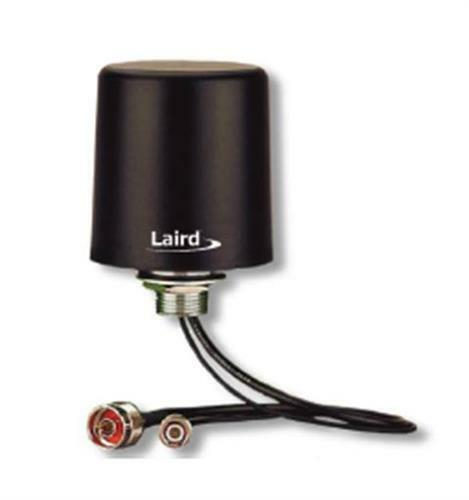 Laird's unique Phantom dual band UHF / GPS antenna is designed for heavy duty, high performance applications and operates at maximum effectiveness when mounted on a 10” diameter (min.) ground plane surface. A threaded permanent stud mount provides vandal resistant vehicle mounting. The Phantom can also permanently mount to brackets, panels or any other kind of housing with proper ground plane surface. High performance mobile antenna operates on a 10” diameter (min.) ground plane.